SOURCE INDIA is a global platform also called as Buyer Seller Meet (BSM) organised by Government of India, Department of Commerce & Trade Promotion Council of India (TPCI) for promoting Indian Exports in Most Potential International Markets in most efficient and economical manner. The platform is based on deep knowledge base, intense in-house research, effective resource capabilities who can help businesses to find right services/products and sectors around the world. Source India event provide great opportunity to exhibitors to meet, connect and build rapport with prospects and customers in a most economical way. For visitors, the platform give opportunity to find right business partner/vendor under one roof. The Source India platform has numerous trade shows and events such as Source India Iran, Source India Kenya, Source India Nigeria, Source India Ghana and Source India Argentina. We at CDN Solutions Group are participating in trade shows from decades as we believe that trade shows are great platform to showcase our expertise/innovation, gain opportunities in latest developments, connect with prospects & provide solution right their, opportunities to meet industry leaders, etc. So this year for the first time, we have decided to exhibit in Source India Iran 2018 event which is going to be held from 12th – 14th Feb 2018 in South Musalla Exhibition centre, Iran. 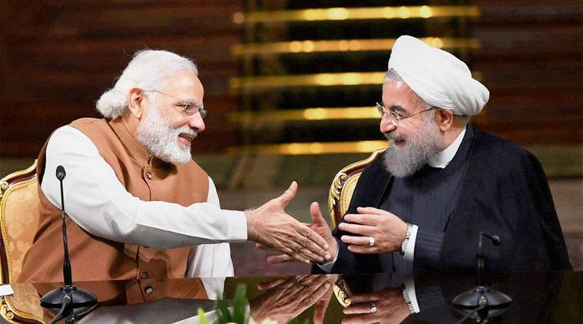 Source India Iran is a three day event with a focus on cost effective promotion of Indian exporters in Iran and facilitate direct access to potential buyers and influential decision makers. We are in IT industry since 2000 & providing technology solutions for industries such as Retail, Construction, Automobile, Healthcare and Pharmaceuticals, Food and Agriculture, Oil and Gas, Real Estate, Hotel and Restaurants, and more. So we understand the business pain areas of your industry and know how to solve them. Till now we have developed 1400+ projects in Web and Mobile app development with serving our expertise in 38+ countries. Our expertise in diverse industry verticals and technologies can help you. So meet us in Source India Iran 2018 by scheduling a meeting here and share your project idea to turn into reality. Also avail technology solutions to overcome from your business pain areas.